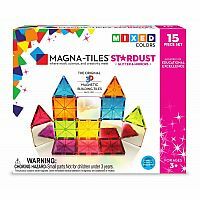 Magna-Tiles 18915 15Piece Stardust Set - Valtech Co.
Everyone can use a little more glitter and shine in their life! with mirrored tiles and tiles with glitter, your child can add some sparkle to playtime with the Stardust set. Magna-tiles are the original 3D magnetic building tiles by valtech since 1997. Each tile edge is magnetized so you can connect them to build anything you can imagine. If you can click it, you can create it! not only are Magna-Tiles fun, but they also help develop fine motor skills as kids stack, build, Count, match and “click” together their creations. 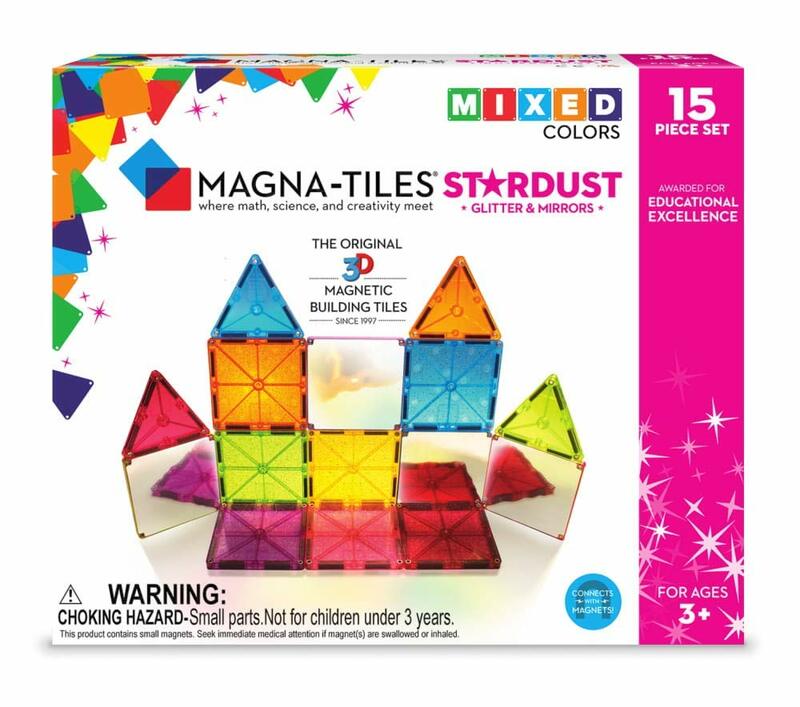 All original Magna-Tiles building sets are compatible. Tag your photos on social media with #magnatiles to be featured!